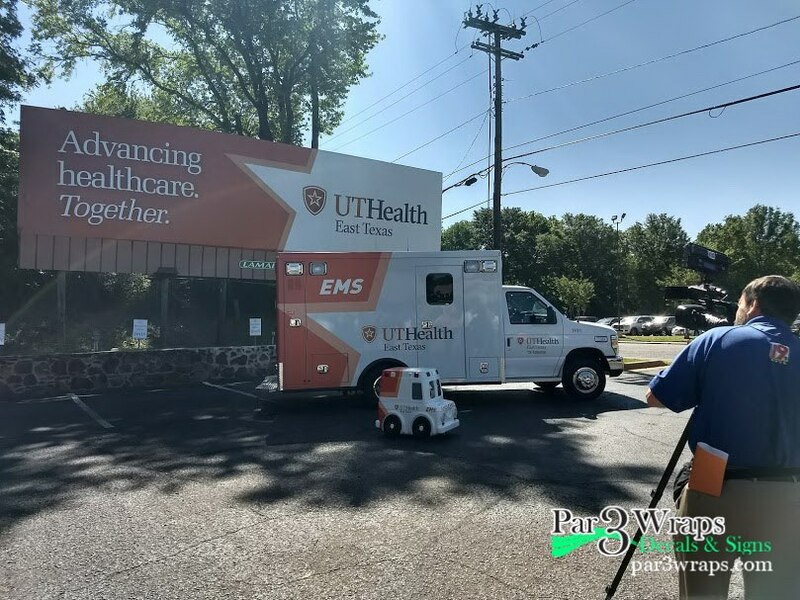 As part of the ETMC to UT Health acquisition that took place earlier in 2018, we are happy to be the preferred wrap installer for the 50+ Ambulance and support vehicles that are part of the project. 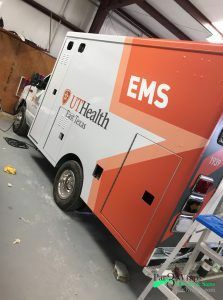 This is our largest fleet graphics project to date and we are excited to help update the look of these important vehicles. 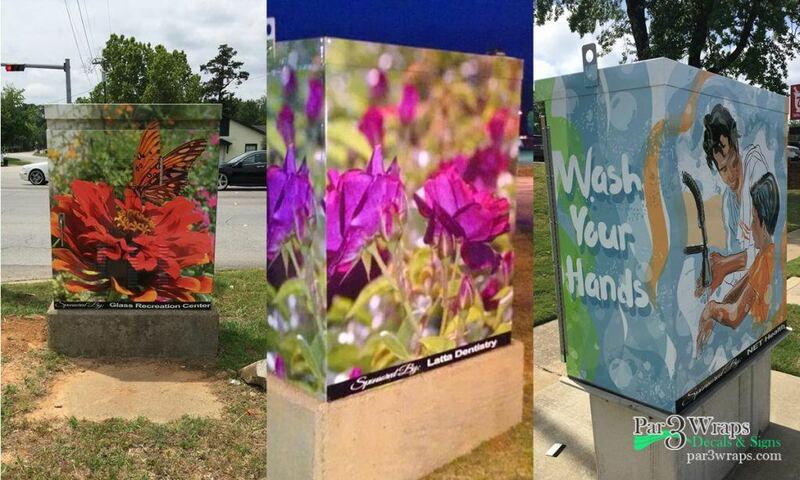 Par 3 Wraps Decals and Signs has been installing wraps on Utility boxes all around the city of Tyler since 2017. 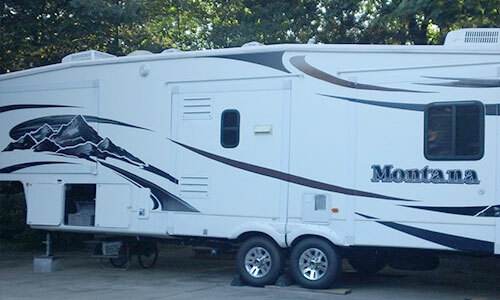 So far we have installed 9 of them in 2018. 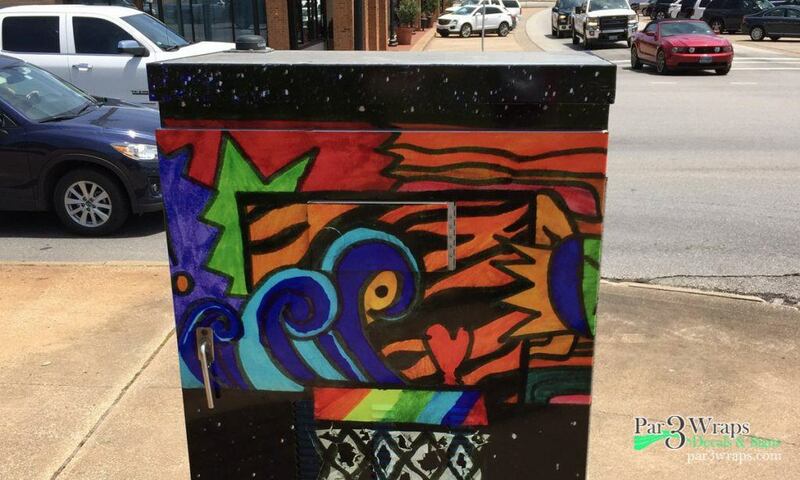 The program was started to showcase local artist artwork while upgrading the look of many of the boring metal boxes we drive past all day. 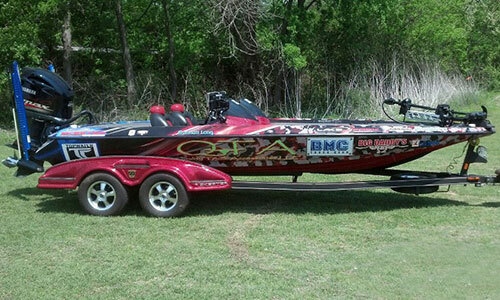 Anyone can sponsor one of these boxes, more info on sponsorship is available here. 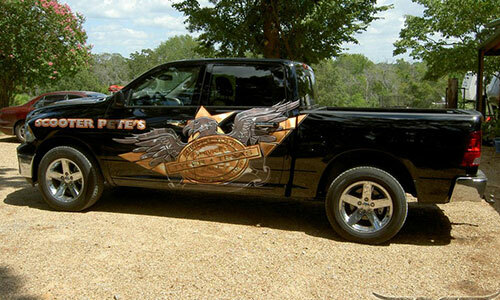 Prices start at $540.00 for a small box. 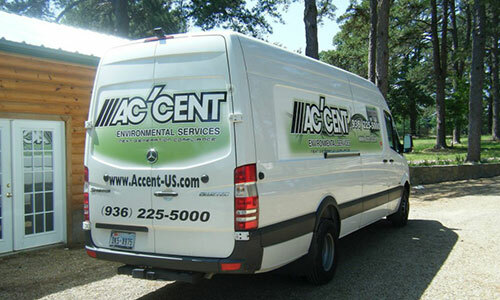 In total we wrapped 5 vans. 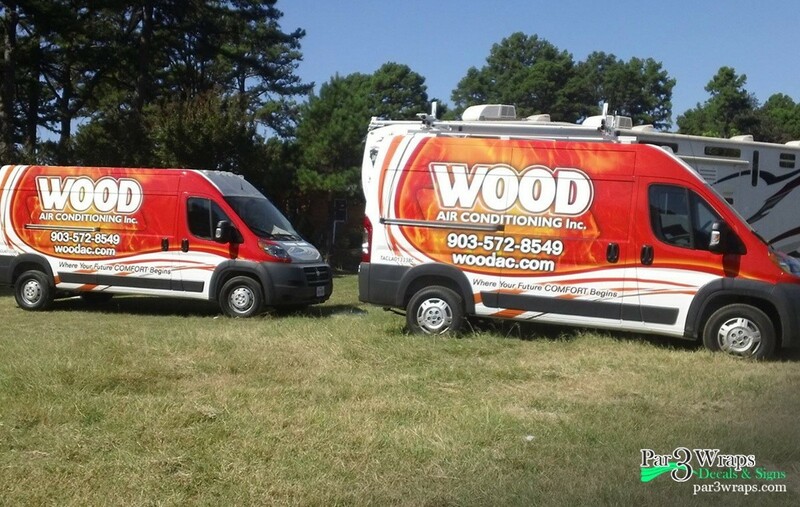 The first four were Dodge Ram Promaster Cargo Vans that we wrapped in 2015. 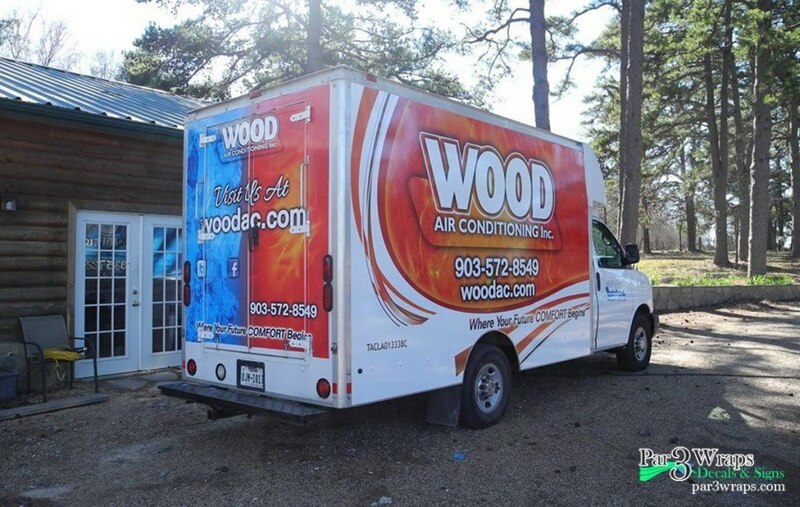 Recently we completed a Box Van wrap this last February. All the vehicles have a matching design – one side red and one side blue, representing how they do heating and cooling. 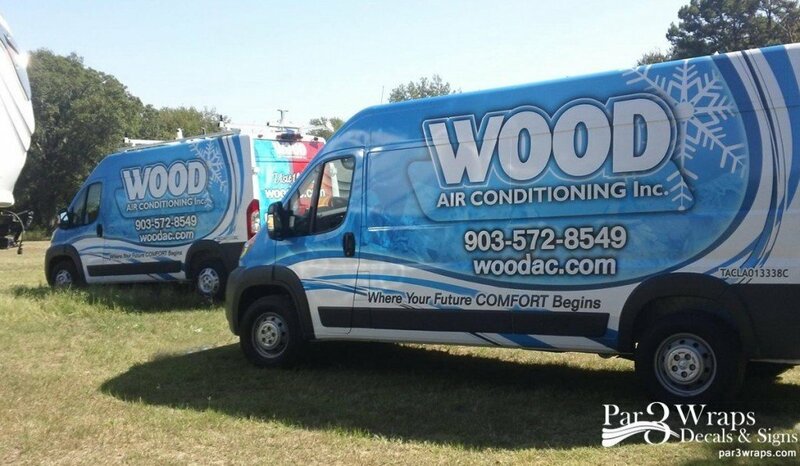 Wood AC has been around for over 57 years, and they do installation, service checks and repairs.